Tamarindo is Costa Rica's "most popular beach" according to Forbes magazine. We have the finest restaurants, and tours of all kinds including canopy ziplines, sport fishing, golf and of course surfing at some world class breaks. 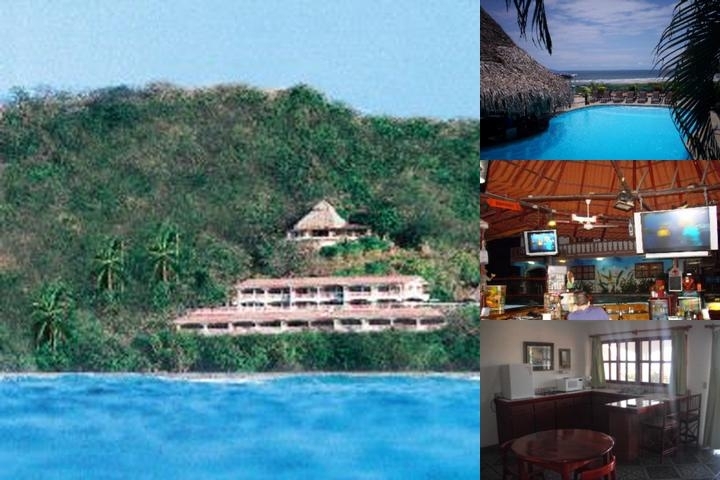 We are a small, family owned hotel perched on a hill overlooking Tamarindo Bay. This affords most of our rooms fantastic ocean views. We have a variety of rooms including the basic mountain views, ocean views, Tropical Suites, Corona Suites, and the top-of-the-line Corona Deluxe. Our suites are all one bedroom suites with a queen bed and two daybeds in the living room. They feature kitchens and patios or balcony and ocean views. Our restaurant features a variety of delicious international food, dishes including fish, meat and chicken, as well as burritos, pasta, pizza and nachos and typical food. The Crazy Monkey Bar is extremely popular, and our Friday Salsa Night draws people from all over Costa Rica. The pool is a big attraction as it affords the guests another splendid view of the ocean. It has a waterfall and a swimup bar as well. We are open to owners bringing their dogs or cats, but it rarely happens. Daniel Oduber International Airport is only 45 minutes away in Liberia. We offer a shuttle van for $80 per van. The national airport, Tamarindo Airport, is only 5 minutes from the hotel and is $5 per person. Local Shuttle Info: Everything in Tamarindo is walking distance, but if something requires a taxi, we are happy to call one.